Around the world, different cultural norms and employer expectations dictate the number of hours that employees work. A report from the Organization for Economic Cooperation and Development (OECD) indicates that the average Mexicans worker puts in 43 hours per week, while Americans work an average of 37 hours a week, and Germans work the least hours per week, coming in at 28. This includes all types of working arrangements, from part-time and full-time to contract and side gigs. An article featured on CNBC shared the announcement that Amazon, the most successful consumer goods company in the world, would be piloting a new 30-hour workweek for a select test group. In exchange for a more flexible schedule and reduced work hours, the employees agreed to a 25 percent pay cut but could retain all of their employee benefits. While other companies like Deloitte and Google already offer employees the option of a compressed workweek, Amazon is the first to offer a capped 30-hour per week work schedule. Where Did the 40-Hour Work Week Originate? To understand a bit more about how America settled on a 40-hour work week as the standard schedule for full-time employees, it’s important to note the origins of this practice. According to popular history, the notion of 8 hours of work, 8 hours of leisure, and 8 hours of rest each day came from Welsh industrialist and labor rights activist Robert Owen. The idea stuck in post-Civil War USA and became the standard for the modern work week. Later, President Roosevelt enacted the New Deal policy that made 40 hours a week the American standard to reform previous labor abuses that happened during the Great Depression. What if all nations and employers agreed on a 30-hour workweek? What would be the pros and cons of this arrangement—for employees and employers? In the near future, employers around the world could adopt a 30-hour work week, which could provide many pros and cons. Employers and employees may see different sides of a shortened work week. Employers who want to appeal to Millennials, who now make up the majority of the adult workforce, a 30-hour work week could accomplish this. Millennials have been shown to be more focused on work-life balance than on attaining power at work. So too, a 30-hour work week could appeal to more parents who already struggle with the responsibilities of having a career and running a household. 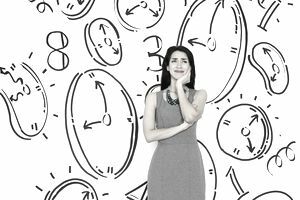 A shortened schedule offered to employees can also prevent burnout and disengagement in workers, by offering them more time to recuperate and enjoy life. The overhead costs of running an office could also be reduced. The risk of injury, which has been shown to increase when people work more than 12 hours per day, could be reduced. In terms of potential negatives for employers, if the standard work week is reduced to 30 hours, this could increase the chance of paying overtime for more hours worked. It would also leave certain times uncovered by employees during regular business hours, requiring the hiring of more people. Employees who are already working fewer hours may no longer see this as a benefit and start slacking off. The demand for employee benefits could increase as all workers who fall under previous limits set forth by healthcare reform will now become eligible for coverage. For employees, having a set 30-hour work week could seem like a dream come true. They can choose to work 5 days each week, but each day will start or end at a more convenient time. They can take longer and more frequent breaks. This doesn't mean that they won't still be at their place of employment just as many hours; they just will be working less on the clock. Commute times won’t improve, which could make it difficult for employees to see much value. The employees who already work from a remote location will experience the biggest benefit from a reduced work week. Employees may still have a tendency to work extra hours, as it’s a hard habit to break. They may be more rested and have more time for personal needs, but at a reduced salary which will remove some of their expendable income. Employees may find it difficult to adjust and won't be as productive in a condensed schedule. The End of the Standard 40-Hour Workweek? According to an article which appeared in Inc., Millennials are the first generation that views work as a headspace and not a physical place. They are continually plugged into their mobile phones, in a “never-offline and always-available” way of working. Millennials have no issue with combining work and personal life. They bound out of bed in the morning already checking email and social media networks. They conduct personal business, like shopping, while they are also at work. They don't mind engaging with a manager in a text conversation over weekends. It’s clear that mobile working options could influence the number of hours that the average adult works. The 2017 Deloitte Millennial Survey advised that Millennials who report working from flexible locations is up by 21 percent from 2016—around 64 percent now enjoy this perk. It’s a matter of preference for each individual. Whether working in an office or remotely, employers can establish a set amount of hours that are acceptable and prove to be most productive. Employees can choose careers that offer them the freedom to work when and where they feel they are at their peak of productivity. Working fewer hours can help reduce burnout, but it could also put added stress and pressure on people who don’t manage their time well. What Could a Reduced Work Schedule Mean for Employee Benefits? Under the current Affordable Care Act, an employee is eligible for group health benefits if they are full time. Full time is considered to be, “Any employee who works an average of at least 30 hours per week for more than 120 days in a year. Part-time employees work an average of fewer than 30 hours per week.” So long as the employee does not dip below 30 hours per week, he or she is still eligible for employee benefits. Employees also have the option to be covered under a spouse’s employer plan, a private insurance plan purchased through their state marketplace, or a public health plan if they meet certain low-income guidelines. Some employers also offer limited benefits to part-time workers, including supplemental insurance, educational benefits, paid time off, and company discounts for travel, mobile phones, and technology. In an increasingly mobile workforce, which is influencing the way people work, it will be interesting to see what happens next.